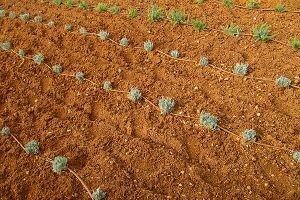 Drip irrigation certainly has many water-conserving benefits. But it also offers a host of other advantages, such as lowered energy bills and increased plant life. Also referred to as micro irrigation, drip irrigation gives lawns a slow-moving stream of water that gradually seeps into the soil. Thus, this method of delivering water is more steady, rather than a steady spray or stream as with standard systems. 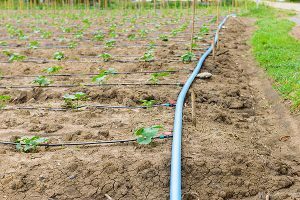 Comprised of a network of pipes, tubes, valves and emitters, drip irrigation is a good choice for gardeners and farmers as well as anyone with an oddly-shaped landscape. As such, come to us for the drip irrigation systems Champaign IL chooses for water conservation. Trust Commercial Irrigation & Turf to install your drip irrigation system for added design flexibility. That’s because we can make the tubing conform to any shape, such as along a row of vegetables, in a planter, weaving in a garden or even on a street median. Make sure emitters are connected to the flex line. Ensure the flex line is connected to the riser. Service the filter strainer periodically. Connect micro adjustment nozzle to the flex line and ensure the nozzle is intact. 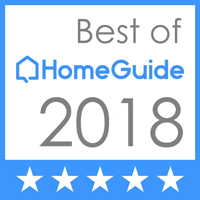 There’s a reason why we consistently prove ourselves as leaders in residential and commercial irrigation throughout Central Illinois. When you choose Commercial Irrigation & Turf, you choose highly-trained professionals who are happy to guide you through the process of drip irrigation step by step. Rely on our 30 years of experience today, to install or repair your drip irrigation or sprinkler system. Commercial Turf & Irrigation offers our customers quality, professionally-installed drip irrigation systems. Please call us in Champaign at 217-398-1494 or fill out our online form for more information.